Home » Food and Nutrition » Does the Western Diet Contribute to Prostate Cancer? Does the Western Diet Contribute to Prostate Cancer? 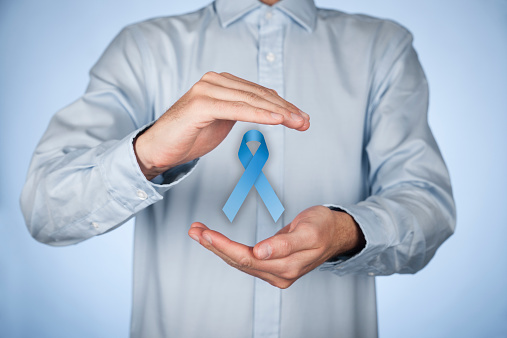 Did you know that prostate cancer is one of the leading causes of cancer deaths among men? According to the American Cancer Society, approximately one in seven men in the U.S. are afflicted by this disease, and the risk of being diagnosed with prostate cancer increases considerably after the age of 65! Health officials now believe that the Western diet (filled with processed, high-fat foods) may contribute to an increased risk of developing prostate cancer. A team of researchers from the Harvard T.H. Chan School of Public Health interviewed 926 men who had prostate cancer and asked them to explain their eating habits over a five-year period. The first eating pattern mainly consisted of fruits, vegetables, whole grains, fish, and beans. The Western-diet pattern included high intakes of red meat, high-fat dairy, and processed foods. The western pattern shows a lot more protein being consumed and the food being much tougher to digest. The men were then monitored for a 10-year period. The men who primarily ate a Western diet (filled with high-fat, processed foods) had a two-and-a-half-times greater risk of dying from prostate cancer and a 67% higher risk of overall death. The men who made healthier dietary choices had a 36% lower risk of dying. Researchers concluded that a diet that consists of less processed foods and includes more vegetables, fruits and fish is beneficial for the prostate. It’s worth noting that the majority of participants were Caucasian physicians and that researchers didn’t track their physical activity levels. The study’s lead author, Meng Yang, suggested that further studies need to be done that include a wider range of socioeconomic and ethnic backgrounds. As the study suggests, dietary and lifestyle choices are the root cause for approximately 75% of advanced prostate cancer cases. Factors that influence the hormones are also a major concern. There is also unease that vasectomies can increase the risk of prostate cancer, although that increased risk is very minor; according to a series of studies published in 1993, men who had a vasectomy had a 1.5% higher risk of developing prostate cancer. In a more recent study, researchers compared 703 men with prostate cancer to 703 men who didn’t have it. They discovered that 39% of the men with prostate cancer had vasectomies compared to 37% of men who didn’t. Who’s most likely to Get Prostate Cancer? The risk of being diagnosed with prostate cancer increases as you age. The chances of being diagnosed under the age of 40 are one in 10,000, but that number skyrockets to one in 38 for people between the ages of 40 to 59 and one in 14 for people over the age of 60. The majority of prostate cancer cases occur in men over the age of 65. Genetics and ethnicity plays a role too. African-American men have a 61% higher change of developing prostate cancer compared to Caucasian men. Furthermore, men with two or more relatives diagnosed with prostate cancer are almost four times as likely to get it. Tomatoes: Tomatoes containlycopene, a carotenoid that is said to help prevent the development of prostate cancer. A study published in the Journal of Nutritional Science and Vitaminology found that men who consumed tomatoes or any tomato-based product on a daily basis saw their risk of developing prostate cancer decrease. Broccoli: The phytochemicals found in broccoli, such as sulforaphane, act as a radar, where they select certain cells and kill them while leaving the healthy cells untouched and unaffected. Green tea: Scientists believe that the presence of certain components found in green tea, such as catechin and epicatechin, can help prevent the development of prostate cancer. Fish: Fish contains health omega-3 fatty acids. Research shows that by incorporating fish into your diet at least once a week can lower the risk of prostate cancer. Since the diagnosis of prostate cancer increases with age, it is imperative that you schedule annual rectal exams with your doctor. Stracker, D., “Prostate Procrastination: 6 Foods to Eat Today,” Healthline web site, May 7, 2015; http://www.healthline.com/health-slideshow/prostate-cancer-procrastination-6-foods-eat-today. LaMotte, S., “Study: High-fat Western diet increases chances of prostate cancer,” CNN web site, June 6, 2015; http://edition.cnn.com/2015/06/05/health/prostate-cancer-diet/.